If you thought you knew everything about The Sith Triumvirate raid, think again. Gaming-fans.com and raiding expert, Skelturix, have teamed up to create the most comprehensive walkthrough of The Sith Triumvirate raid to date. Other than that, great guide. 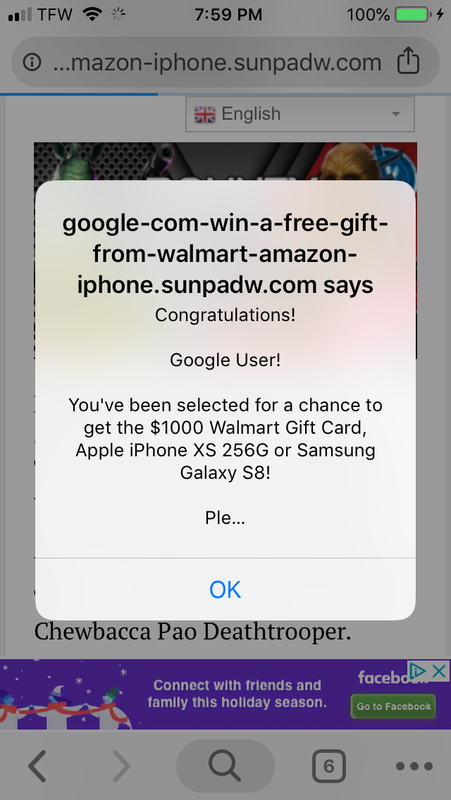 Cant read it thankd to the pop up ads but thanks anyway. Do you guys not know about ad blockers? That said, I opened it up and the "ads blocked" count immediately shot to 26 which is...kind of bonkers. Decent guide though. I honestly thought it was standard practice to view everything on the Internet with an adblocker. **** near everything is saturated with ads, it makes stuff so much easier to read. You do get the occasional "hi please disable your adblocker" page, but still. I tweaked the ad code - hoping this helps. The best is those pages that try and block your entire view of the page with a "disable ad block to view this, we need the money from ads to host this site so you can't view it unless you see ads" With no way of removing it. So what I do is just before the page is finished loading, I stop it loading and read it all anyway without ads. or google cache the page... muahahaha I love adblocker. But seriously, you guys need to find another site to post stuff, that site is terrible for ads. Its cool and all for me to see the chalender and bits of this there, but I can't link this to anyone cause they may not be able to see anything. @CG_GAWS why are you guys promoting a website that is plagued with ads when this site + the game dont have any ads at all? there is no reason to have such ads on a basic website considering you can get a good server for less than £10 per month and easily code that site. Thanks for the tips. I have been in the industry for 15+ years and I know it well. The site is dynamic and the ads change user to user and day to day. I continue to monitor and adjust regularly as does the ad provider. I assure you that I will continue to balance the best user experience possible with having the best content for SWGoH anywhere in the world, and I will continue to work towards improving that each day. And this is one of the reasons why i refuse to give that site any of my clicks. Last i knew this is the official forums, not that page. So i shouldn't need to go there to read official announcement or official chalendars. Gaming fans and Skelturix ought to post their ultimate super guide to the so-called "offical" forums site. Here's a link to the appropriate Sith Triumvirate Raid subforum, in case you are not familiar with it. Well they should also post the official chalender here too, and also address the node bug here instead of addressing it on reddit, but you've been here long enough to know this place is the last place to find anything out for some reason. Maybe it's a good site? No way to know. I prefer the sites using your CPU for bitcoin farming over this.... at least they're slow, but usable..... as opposed to slow and also unusable. The best user experience is no ads at all. And the content on your 90s era design is easily findable elsewhere with no ads at all. I've been there a couple of times and I hate it even when viewing it with an adblocker. This is a sidebar of the - somewhat sad imo - parnership between entities that benefit from one another. GC's / GamingFan type sites that look to profit off the game and "helping" others team up with CG/devs that want free content that advertises their game. I played mobile since 2014 and before YTers / GCs and this type of business mechanism sprouted up, it was just communities posting stuff to help each other and no one was looking to profit off of a game. I try not to think about it much cause it makes you feel a bit icky to play and be part of such blatant leveraging. I used to like feeling like I played a game, not that I was stuck in a commercial. After reading through the comments one of the takeaways was the type of ads - that worried me. So I did a little digging and spoke to my rep at the ad company. 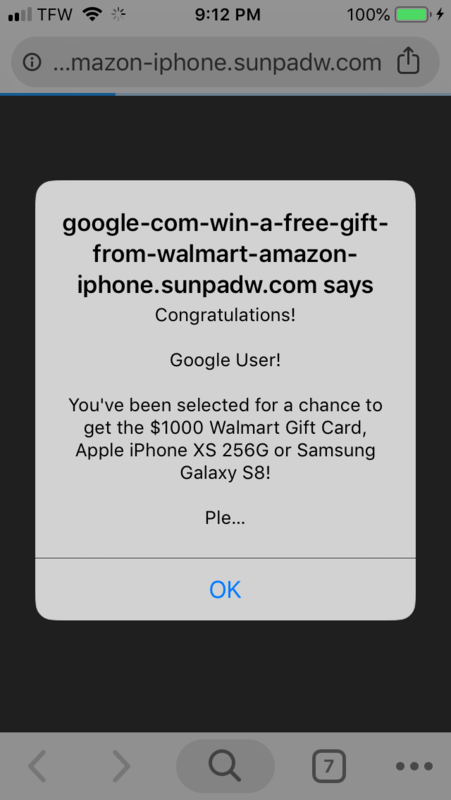 It turns out that mobile pop-ups are an issue in the industry of late, also impacting the New York Times web properties, and that ads like this work their way into the system at times and that they look to keep them out. I chose this ad company for this exact reason - they try not to be as invasive while still satisfying their customers. At the end of the day I am working to scale back the ads and monitor the types of ads on the site. I make no apology for putting hundreds, if not thousands of hours into the site to provide top-tier content, and yes, like the other YouTubers, I am happy to receive a little payment for my efforts (as are the members of our writing staff). That having been said, if you feel icky over the way advertising works into the game, websites and the world, then you probably should be spending more time working on your sermon for Sunday. I'll be happy to add a little of this revenue to the collection plate. You missed the point. You are only providing us advertisements not content. The content you’re working so hard to create is not viewable due to ad spams. At the end of the day you pocket a few bucks and we watch advertisements. If I am turning the ads down, in constant communication with the ad company and working to improve the user experience, how is it that I am missing the point @3pourr2? When someone does something differently than you want them to, how would you like them to respond? With a hand gesture or actual efforts to improve things and find a middle ground? I have made changes already to the number of times the ad code appears on the pages and I am working to figure out the best solution because I am in this for the long haul and plan to keep providing top-tier SWGoH content for years to come. With that, I appreciate your feedback. Not about doing something differently from what someone wants. Its about function, without function the top tier content doesn’t reach the community. Glad to hear you’re improving it hopefully we can all view and enjoy the content soon(tm). I currently have less than one minute of view time on your link before I’m blocked by the amazon/walmart ad. So my bit of feedback: I'd really like it if you'd add more detail text descriptions for the Revan and Imperial Trooper P3 teams the guide alludes to. You don't have to do a youtube video but some barebones descriptions of toons involves, why those toons and not others in the faction, and general tactic would be nice. Or provide links to existing youtube videoes that describe them. Also i use firefox on android and didnt have the popup issue of other users so perhaps a problem of the ads targeting certain devices? Congrats @CG_GAWS. You turned this from a thread about Sith raid feedback into a thread about a poorly degisned web site with Sith raid info. Feels more like the Ultimate Guide to Ads on websites now instead of Ultimate Guide to Sith Raid.